Celebrating a decade of great golf between our Nordic nations! 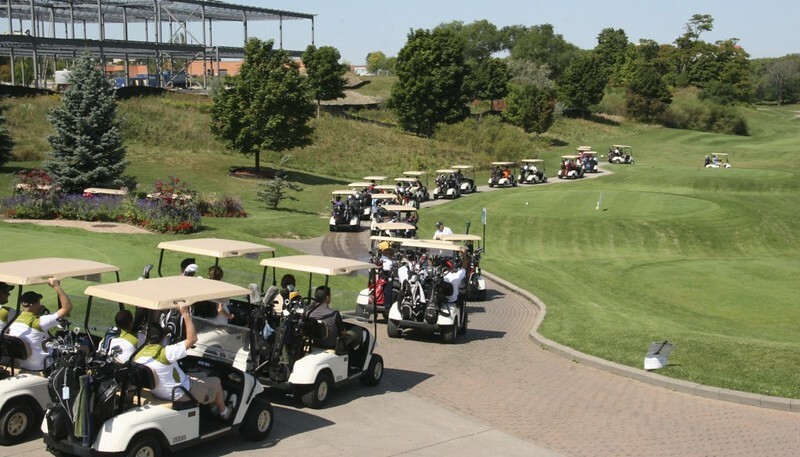 The Finnish, Swedish, and Danish Chambers of Commerce, together with Iceland and Norway are proud to invite you to join us on Thursday, May 30th, 2019 for our 10th Annual Nordic Consular Cup Golf Tournament. For the third year running, we’ll be playing at the beautiful Caledon Woods Golf Club in Caledon. You and your guests are invited to participate in some friendly rivalry, enter fun golf contests, win attractive prizes, enjoy the “On the Tee” BBQ Lunch and dine with us at the Championship Buffet (complete with wine, beer, and award ceremony). Reserve your Early Bird spots now! Early Bird Registration ends May 2, 2019. Reserve your spot for April 10th! How can CETA work for your business? Gain insights how to grow your international revenues under CETA and meet and mingle with other representatives from Swedish companies in Canada. Welcome to this seminar to gain insights into the benefits and opportunities of CETA, Comprehensive and Economic Trade Agreement implemented between EU and Canada Sept. 21st, 2017, followed by a networking reception. The seminar is hosted by Business Sweden, Swedish embassy, Swedish Canadian Chamber of Commerce and Canadian law firm Miller Thomson. At a time when negotiating international free trade agreements is proving difficult Canada and the EU have struck a modern and mutually beneficial agreement. Canada has opened its borders to European investments, imports and workforces, which is generating a wealth of opportunities for Swedish companies to increase their international revenues. If you have specific questions relating to Canada, CETA and or other trade and investment queries, please send us an e-mail ahead of time so that we can answer your questions in the best way. Swing into the merry season with the Orpheus Choir, one of Toronto’s most distinguished & important choirs. Expect high-energy chart toppers from the Bob DeAngelis Big Band and acclaimed jazz pianist John Sherwoord, alongside Nils Lindberg’s sparkling Christmas Cantata and other festive favourites! 40% discount for SCCC Members and Friends! Catch a great Swedish film at the European Film Festival! November 9 to 23, 2017. Synopsis: A young couple, Simon and Oscar, together with their girlfriend, Cissi, have bought a house outside Stockholm. One room has top priority: the nursery, because Cissi is expecting. But who is the father – Simon or Oscar? Nevertheless, come what may, they’re going to start a family. They haven’t revealed the secret to their families yet but what better time to disclose the truth than Christmas night? You can also catch other great European films during the Festival which runs from Thursday, November 9 to Thursday, November 23, 2017. Explore the myths and stereotypes of this ancient culture in VIKINGS: The Exhibition, presented by investment dealer Raymond James Ltd. Offering a fresh and contemporary look into the Viking Age, VIKINGS is an extraordinary window into the lifestyle, religion, and daily lives of these legendary explorers, artisans, and craftspeople. Encounter objects rarely displayed outside of Scandinavia in this compelling exhibition that challenges the perceptions of the Viking Age through hundreds of objects, as well as interactive and immersive experiences. Save 20% off ROM admission. Also see: The rich culinary heritage of Scandinavia, with Michelin star chef Magnus Nilsson at the ROM, Tuesday, February 6, 2018, 7:00 – 8:00 pm. The Swedish-Canadian Chamber of Commerce cordially invites you to join us for our annual Lucia celebration! a time for celebration with those we hold so dear. From your first sip at the glögg reception to the last bite of the Christmas ham, prepare yourself for a culinary journey through Swedish specialties and reinvented classics in a new take on this traditional buffet. Chef Cole from the Swedish Embassy in Ottawa is helping to make this a truly inspiring culinary experience! Invite your business acquaintances, friends, and family to get away from the daily routine and join us for an atmospheric afternoon as we celebrate the joy and wonder of Christmas and relationships beyond borders, all in the light of Lucia. When you arrive you will be greeted by a trio from the Emperor Quartet to start the Luncheon off on a Royal note. We are delighted to once again have Toronto Children’s Lucia Choir perform, as well as dazzling raffle prizes to be won and as always, the traditional singing of Schnapps songs! Experience this one of its kind event in Toronto and enjoy a unique taste of Sweden! presence of His Excellency Per Sjögren, Ambassador of Sweden to Canada. Don’t forget to bring your money for Raffle Tickets! plus a stay at Hilton Reykjavik and Hilton Stockholm Slussen. Last day to register is November 24th. Don’t miss out. Individual tickets and tables of 10 -12 can be bought online via Pay Pal (below) or by cheque prior to the event. The Chamber is happy to announce that we are working closely with the Second Harvest food rescue organization, to make sure that all leftover food from our amazing Jul Bord, will be enjoyed by those in need. Join us and bring a guest, for an evening of networking in a comfortable setting. Now with a wider selection of food and your choice of house red or white wine, beer on tap or any kind, or any mixed drink using our bar rail. All rates include HST. We will have door prizes!! !